The Senate passed a comprehensive budget deal early Friday that lifts the debt ceiling into March 2017 and spending levels for two years. It now heads to President Obama's desk. The agreement was approved in a 64-35 vote. On Wednesday, the House overwhelmingly passed the legislation, 266-167. The White House has signaled that Mr. Obama would sign the bill before Tuesday, the day Treasury Secretary Jack Lew has said the nation will no longer be able to borrow in order to meet its obligations. Sen. Rand Paul, R-Kentucky, a GOP presidential candidate, filibustered the deal starting Thursday afternoon. "I rise today in opposition to raising the debt ceiling. I rise in particular in opposition to raising the debt ceiling without getting any sort of spending reform or budgetary reform in return," Paul said on the floor. "We will be giving President Obama a free pass to borrow as much money as he can borrow in the last year of his office." While GOP leaders scoffed at a idea of a "clean" debt ceiling increase with no strings attached, they admitted the president had made clear he wouldn't negotiate over the nation's borrowing limit. In mid-September, congressional leaders in the House and Senate launched negotiations with the White House over the spending caps that were put in place by a 2011 fiscal deal. Democrats and Mr. Obama had called on Republicans for months to lift those limits. A senior Democratic aide said staff negotiations began on Sept. 30 and carried into late this month. The talks were completely confidential until just before House Republicans filed the 144-page bill earlier this week. Rep. John Boehner, R-Ohio, aimed to finish the deal before he stepped down from the speakership on Thursday. He will officially resign from Congress on Saturday. The deal will lift domestic and Pentagon spending caps equally for the next two fiscal years. For the rest of the current fiscal year, the agreement boosts spending by $50 billion and by $30 billion a year after. It also raises the debt limit through March 15, 2017. To pay for the $80 billion in extra spending, the agreement finds savings in a range of areas. It implements long-term reforms to the Social Security Disability Insurance program and would keep the program solvent, thereby eliminating a 20 percent across-the-board cut in benefits that would otherwise occur next year. The agreement will also address an issue with Medicare Part B by protecting millions of seniors from significant increases to their deductibles and premiums. According to the Democratic aide, House Minority Leader Nancy Pelosi, D-California, prevented several provisions from being wrapped into the agreement. They included reversing the ban on crude oil, consolidating student loans programs into a single program and extending spending caps past 2021. While the deal lifts spending levels, it doesn't completely eliminate the risk of government shutdowns in the future. 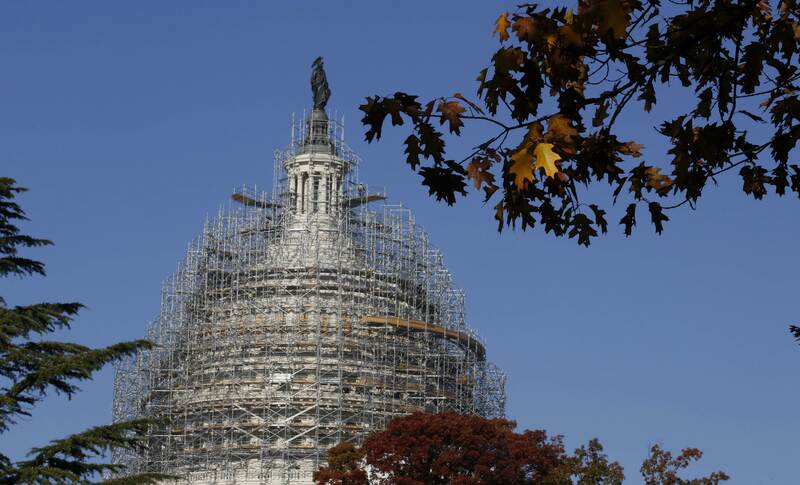 Congress must pass a new spending package, based on the budget deal's guidelines, by Dec. 11. If controversial policy provisions are inserted into that spending package, they could easily cause problems and increase the threat of a shutdown.